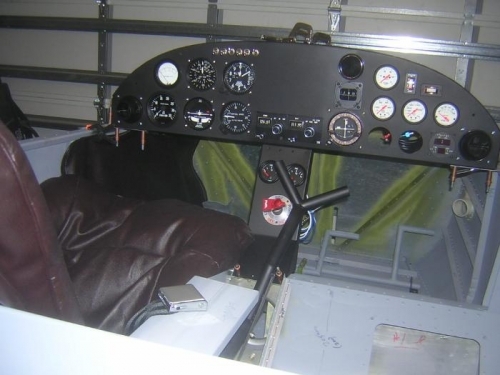 In the center frame, from bottom left to right are the Air Vent, Tachometer, TC, VSI, KX-170B, KI-214 Vor and Glideslope, CHT and EGT (Empty), Clock, Air vent. 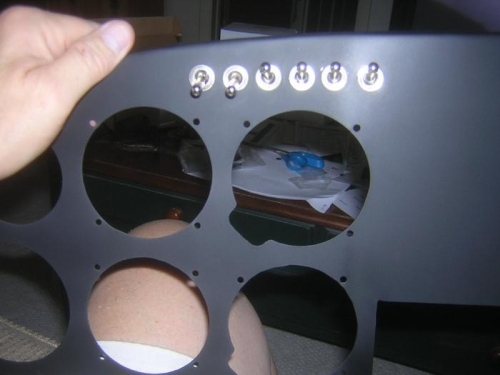 Top from left to right are AOA from Scott Laughlin, ASI, Altimeter, Compass, Fuel Pressure, Oil Pressure, Oil Temp. 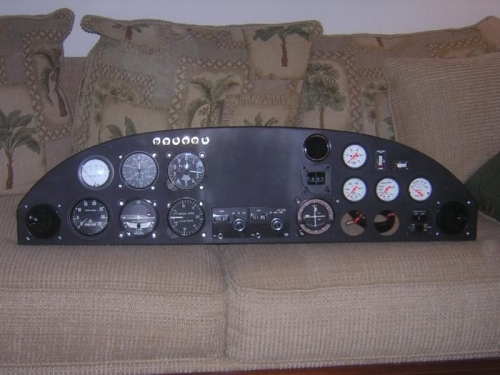 And top right are: Air/Fuel Monitor, Fuel Pressure, elevator trim and aileron trim.The switches are: Nav Lights, Strobe Lights, Landing Lights, Instrument Lights, with last two blank.I still need an Ammeter, Throttles, Carb Heat, Cabin Heat and Choke? Row of switches for nav, strobne, etc.